The Whites held on to Baskonia and were more successful in the final phase of the match to win again after two consecutive defeats. 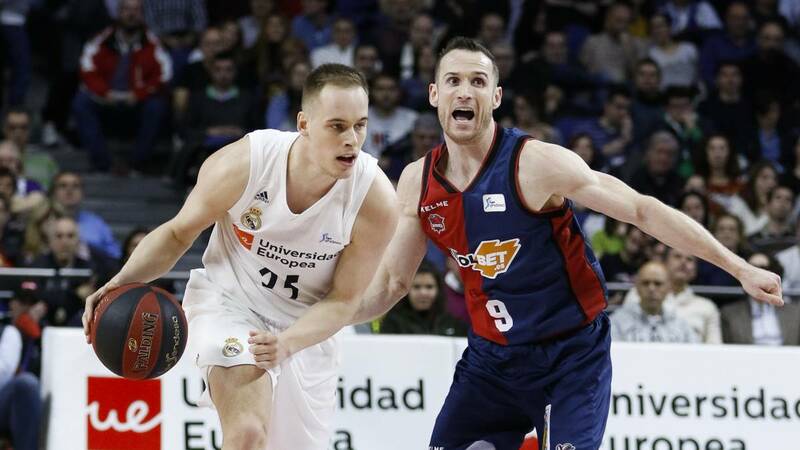 El Madrid beat Baskonia in the Wizink Center thanks to the 18 points of Anthony Randolph and the good work in the key moments of the match, where they were more successful than those of Perasovic. The visitors held on after a great first half but saw how the whites were opening their advantage little by little, especially at the end of the third quarter and the beginning of the last. Although the Basques did not lose at any time the face of the game. Those of Laso managed to take the cat to the water and rediscover the victory after a small mini crisis that had resulted in losses to Unicaja in the Liga Endesa and CSKA in the Euroliga. In addition to Randolph highlighted the good work ( once again) of Gustavo Ayón, who did everything (8 + 7 + 3 + 1 + 2) a good Carroll that ended with 10 points and a good Campazzo, which ended with 7 points and 6 assists. On the part of Baskonia stood out the totality of the quintet titular, that surpassed the 10 points, especially Voigtmann, that maintained to his in the last period. After this match Laso's tiebreaker with the Basques in the Liga Endesa and settle in the second place lurking at Barça, which is still leader. On the other hand and despite the good role played by those of Perasovic, today visitors still without beating Madrid in the ACB since 2010, when they were imposed for the last time the white team.